These classic straight bongs has been given a bit of a different look by Black Leaf thanks to a few silicone parts placed in keys areas where more grip is extremely useful. There is a silicone ring around the base which makes it much more stable and grips whatever surface it is sitting on really well. 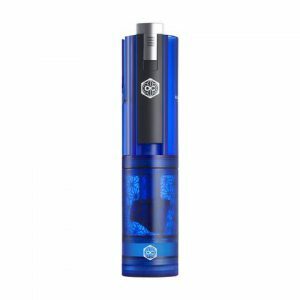 These classic straight bongs has been given a bit of a different look by Black Leaf thanks to a few silicone parts placed in keys areas where more grip is extremely useful. There is a silicone ring around the base which makes it much more stable and grips whatever surface it is sitting on really well. There are also two ‘swiss-cheesed’ silicone wraps around the bowl section and around the top of the tube, the two places you are most likely to pick it up from. 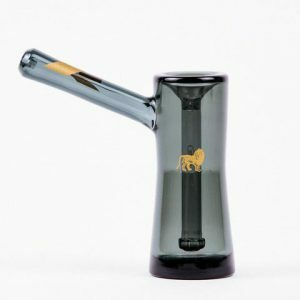 The removable downstem has a 14.4mm female ground glass joint and they include a 14.4mm male bowl with roll stops to finish it off. They have also fitted a side mounted carb hole for when you want to take quick hits back to back.